Yummy FTP Pro 2.0.4 – FTP/S-SFTP-WebDAV/S client for speedy, trouble-free file transfers. Next story Smooze 1.6.2 – Smooth scrolling and mouse enhancements. Previous story KeyKey 2.7 – Typing Tutor. 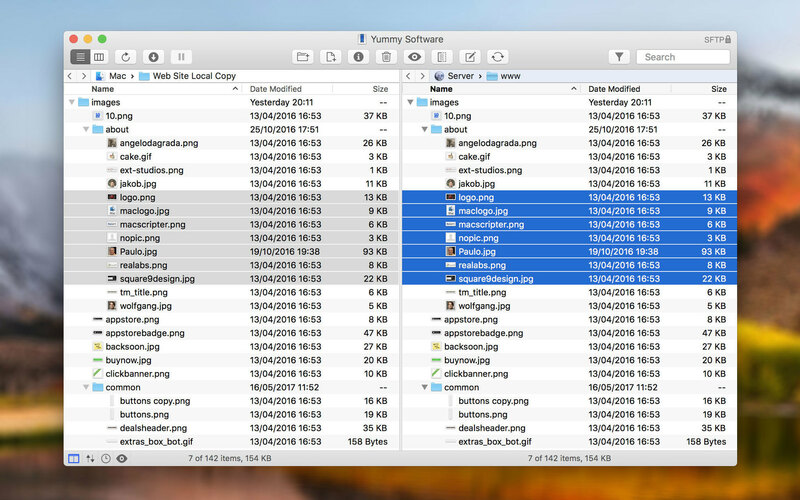 Dropzone 3.6.2 – Open, transfer, and install files by drag-and-drop. Yummy FTP Alias 2.2.12 – Drag-and-drop FTP for your Desktop. Yummy FTP Pro 2.0.5 – FTP/S-SFTP-WebDAV/S client for speedy, trouble-free file transfers.